In a dispute between the acclaimed German scientist and inventor Oliver Brüstle and Greenpeace about the patentability of Brüstle's German patent DE 19756864, the Bundesgerichtshof has last Thursday decided to refer to the ECJ questions regarding the interpretation of art. 6 of Directive 98/44/EC on the legal protection of biotechnological inventions. The ECJ will now have to rule on the interpretation of "human embryo" in the sense of art. 6 Directive 98/44/EC. 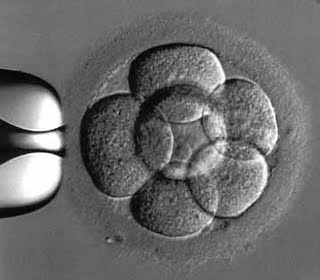 Is a stem cell derived from a blastocyst which has lost its ability to develop into a human still an embryo? If so, is a blastocyst a human embryo? If so, is purely therapeutic use of stem cells a "commercial or industrial purpose" in the sense of art. 6? The stakes are high - the ruling could make or break a lot of biotech applications claiming the use of human stem cells. If all this sounds vaguely familiar to IPKat readers - well, it is; the EPO's Enlarged Board of Appeal last November ruled on a similar question and revoked a patent describing a method for obtaining embryonic stem cell cultures from primates, including humans, filed by the Wisconsin Alumni Research Foundation (WARF) in 1995, because it involved the destruction of human embryos (G 2/06); IPKat post here. Greenpeace's morality is not based on human life and human happiness. So it comes as no surprise that Greenpeace had filed for nullity of Brüstle's patent asserting that it was against public moral, since this technology might enhance human life and happiness. Mystery Canon case: can anyone help? Do you suffer from Diaresis? The Digital Economy Bill - will it come in time? "Would you care for a glass of CANNABIS, Sir?" Litigation leap! But why are more people suing? Haulm Sweet Haulm for the Grimme Reaper?